Munkakezdés előtt találtam egy zongorát Londonban a Marble Arch-on és eljátszottam rajta egyik kedvenc dalomat. Egy spanyol globetrotter srácot bíztam meg a felvétellel. 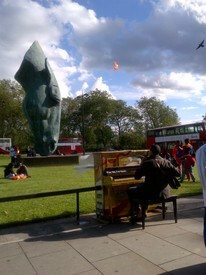 3pm Tuesday 26th June 2012 - Marble Arch. New British Teen Pop Band EverYoung perform the song "If I Ain't Got You" by Alicia Keys. 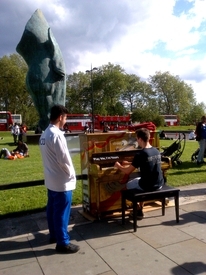 Loving the fact that we randomly found the piano in the middle of London's Marble Arch so just had to record a song on it! 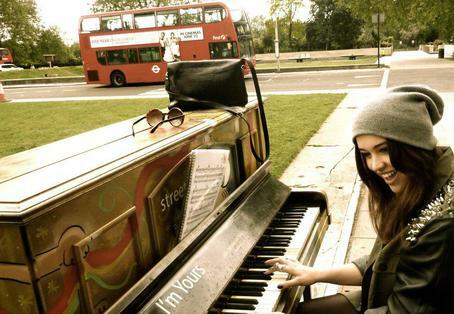 :) May have to go do another song at another piano now! Newly decorated piano waiting ready in the warehouse!